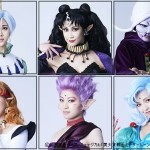 Here are some photos of this year’s Miss Universe Japan, Yuumi Kato, dressed as Sailor Moon! This is Miss Universe Japan’s National Costume. Yuumi Kato’s Instagram page shows us two photos of this costume which she will be wearing at the Miss Universe National Costume competition which takes place on December 11th, about a week before the actual Miss Universe competition which will take place on December 17th. I’m not an expert on this pageant so I’m not sure if the National Costume is something we will also be seeing at the actual competition. Yuumi Kato unveiled this outfit at a press event where she dramatically threw off a kimono to expose it! You can watch a clip of this below. Though the Miss Universe competition is taking place on the morning of December 17th due to the magic of time zones it will be televised on Fox December 16 at 7pm eastern time. Do you plan on watching it? What to you think of the costume? 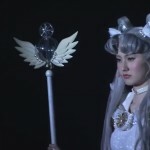 This entry was posted in Cosplay and tagged Miss Universe, Pageant, Sailor Moon, Yuumi Kato by Adam. Bookmark the permalink. Hmm! Not bad at all. But does she have a daughter from the future, in our time? Believe what the spinning parasol tells you. 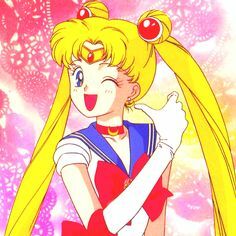 I’m always ready for tributes that involve Sailor Moon! I really love her skinny suit, especially her boots. 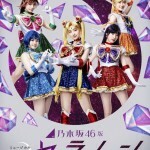 The suits they have on the Sailor Moon musicals are always too puffing, and I don’t like them. She is a cute woman, for sure! It has to do with the nature of the musical I think. We watch it on video so we would rather more realistic costumes but they’re made so that the audience further away can see the costumes more easily. It’s the same principal behind pop stars wearing exaggerated makeup and shiny costumes during concerts. Oh well, I had never seen it this way. It makes perfect sense. Thank you Adam . When are we getting December news? December if all goes well! Take it up with my new son Victor! Congratulations, Adam! A Christmas baby . Awww! Congrats, Adam, for your very own moonchild! Happy belated birthday to your son! it’s about time that the rest of the world is finally catching up with us. I just hope that fox doesn’t screw up and make some rude comment about sailor moon or anime. I can’t stand the American cartoon shows on fox. they are not cool like sailor moon or even pretty cure. Eh, Joseph! So your graduation day approaches! But I’m afraid those stiletto heels won’t be good to wear due to your gown. I guess you should pick lower heels . I’m crossing fingers for you and wish you good luck! Alas here, in France, the social and political situation is plunging into chaos and uncertainty. The gilets jaunes (yellow jackets) movement is having its biggest march so far on Saturday 8th, not only in Paris, but also everywhere in the country. Macron and his team have to resignate: they’ve done too much harm to us… Violence and revolution never lead to anything good, though I’m aware that this is the only (bad) solution we are left with. I’m also worried for my husband, who is a policeman. He might risk his life on Saturday, and, while I sustain the gilets jaunes (regular French people from all over the country), I’m also scared of what might be done to policemen, who are a majority to sustain the movement, but have to do their duty anyway. And this is badly perceived by some people among the gilets jaunes, who believe policemen are traitors serving the government, thus only deserving to be beaten up and killed for these reasons. With violence, reification is never far away… So, yes, I rather think of you Saturday, Joseph! This will be a sweet thought, that will ease the bitter reality occurring on this side of the ocean. Hope you do fine, and don’t forget your sailor suit and your Sailor Moon stickers ! I’m really, really sorry, Aurélia. I tried to imagine how it must feel, and it gave me a flare of anxiety. Even though we’re, in a way, really just hidden, anonymous people using text and avatars to convey emotion, I really am sincere when I wish you and your husband the best. I hope for safety for him and you, and for all the good people threatened. This is heavy, I’m very sorry. As for the stickers on the graduation cap, all taken care of! There are only three Sailor Moon stickers, though; the whole thing is like a scrapbook collage. If it's okay, I'll link a pic sometime later. 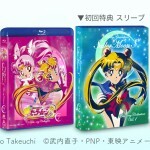 Thanks, SailorMoonNews.com, for all the Tuxedo Mirages. That being said, you have been absolutely right not to follow the global news this past week, and instead, to completely get absorbed by the thought of your upcoming graduation day . When we are facing an important personal event in our life (whether it is a positive or a negative one), it is essential and healthy to concentrate on what is happening inside of us (joy, plain happiness, serenity, fear, anxiety, impatience…), and around us, in our immediate environment. It is important to totally focus on this event, and not to scatter our brain by casting an eye upon what happens outside of our “bubble”. Global news, for instance, are always made of negative things, that our brains automatically absorb like a sponge. And in general, this isn’t good for our sanity. Thank you very much, Joseph, for your sincere thoughts; I am very touched, and reading you warms my heart . Only time will tell what those new events will convey, and how they shall end up. There will be people injured, for sure; but let’s pray so that no ones dies at all. Well, it is currently 00:40 here. Saturday 8 has finally arrived on this side of the ocean. All I have to do now is to wish you a memorable and lovely day—a day that you will remember even long after it has gone. I also hope that you don’t feel too much anxious. May Mercury, goddess of Intelligence and Knowledge, be with you on that very day, and may her wisdom inspire you ! I have MUCH more to say; alas, I should be sleeping. But thank you so much, yo. I really hope for the best, for you two. *Cyber habdshake* Take care! I’ll respond properly when I’ve time. Aurélia, is he okay? How did yesterday turn out? Congratulations Joseph! Well done and I hope you had fun! To Aurelia, I will pray for you and your husband. Thank you for coming to news, Joe! Also, thank you Saintfighteraqua! Yes, my husband is okay. His team was commanded by a coward hierarchy who did everything to avoid them getting into trouble… Well, I suppose I should be happy, haha. Congratulations to you, Joe, and let us know about your Saturday ! Thanks a lot, Denis!! Love, friendship, wisdom, and LOTS of procrastination is the solar system of college! Forgot to mention, I love this image!